Eco-house or just …. a house ? 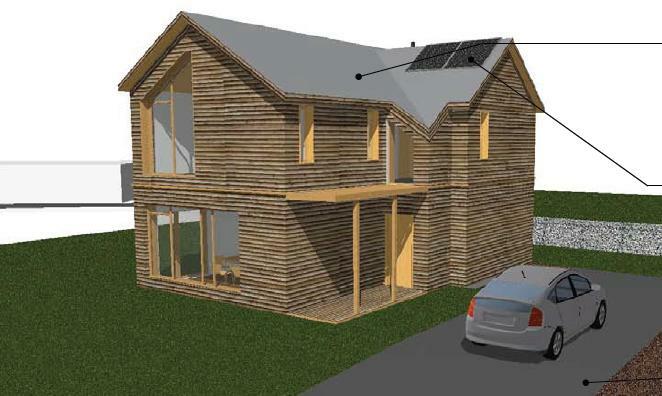 Of course it’s going to be an eco-house! 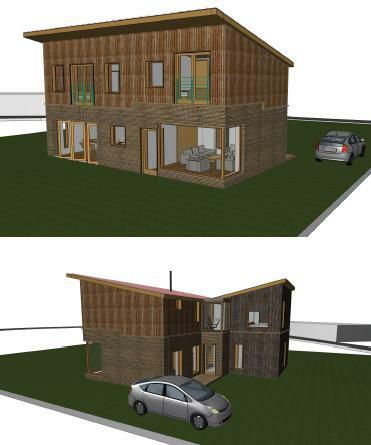 Isn’t it pretty much compulsory for all self-builds to be eco-homes? We want an environmental, ecological, toasted wheatgerm and hand-knitted jumper kind of house; of course we do. Who wouldn’t? However, if I’m blogging the design and build of our house then I suppose it would be useful to explore what we are aiming for in the design and the motivations and reasoning behind it in a bit more depth, so here goes…. Since we have lived in it, we have been trying to make our (Edwardian terrace) home’s carbon footprint as low as possible. Admittedly we have gone for the relatively low-hanging fruit – we haven’t stripped the entire house back to bare walls and started from scratch. But I checked the meters, then turned down thermostats, insulated, draft-proofed, re-checked the meters, hung duvets under curtains, installed a woodburner that heats the water, and solar thermal too, and kept on checking he meters. I even founded my own NGO about 8 years ago to encourage others to make their own homes more sustainable. It was called eco-renovation network and was established of a frustration of policy makers focusing effort on lowering energy use of new buildings while ignoring the millions of existing new homes. These efforts have left me with a house that does, admittedly have very low gas and electricity bills, but it isn’t really properly warm, has irritating residual drafts, and where you are only really guaranteed a steaming hot bath on a hot summer’s day, when you least need or desire one. The disadvantages and challenges of retrofit have become very evident to me during the years of my (admittedly relaxed) mission to greenify my house. Older houses are not designed to be sealed units, and will become damp if you seal them too much, solid walls have a high heat capacity but are hard and expensive to insulate, and our hot water tank is in the attic where the heat that leaks from it and the pipework is useless to warm our home. So I have come to the conclusion that you can only go so far with an old house and this is my opportunity to see what can be achieved when you start from scratch. 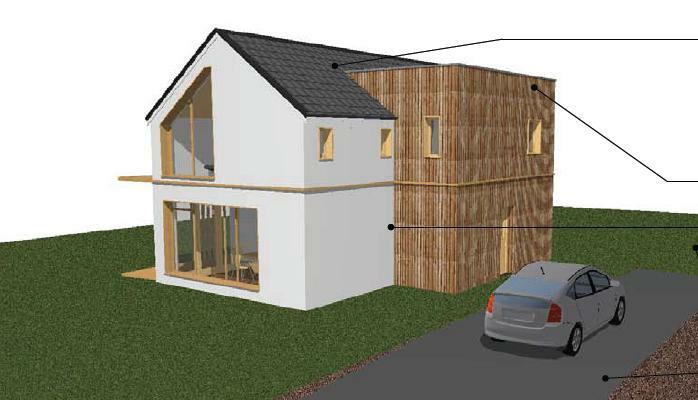 Is it a house which has very low energy use? 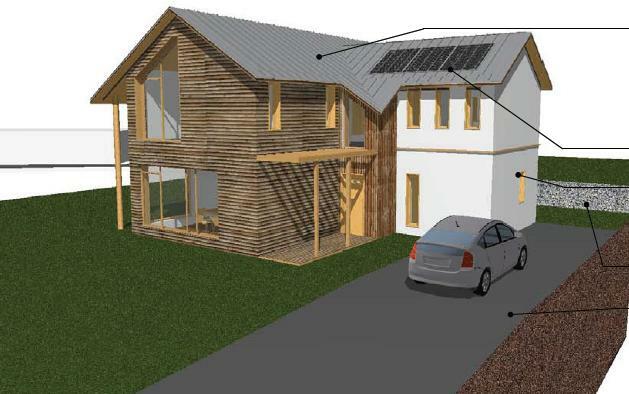 Or perhaps it’s a house with renewable energy made on site, or a house whose materials have a low embodied energy – being made with recycled materials or those that take only low energy to make. 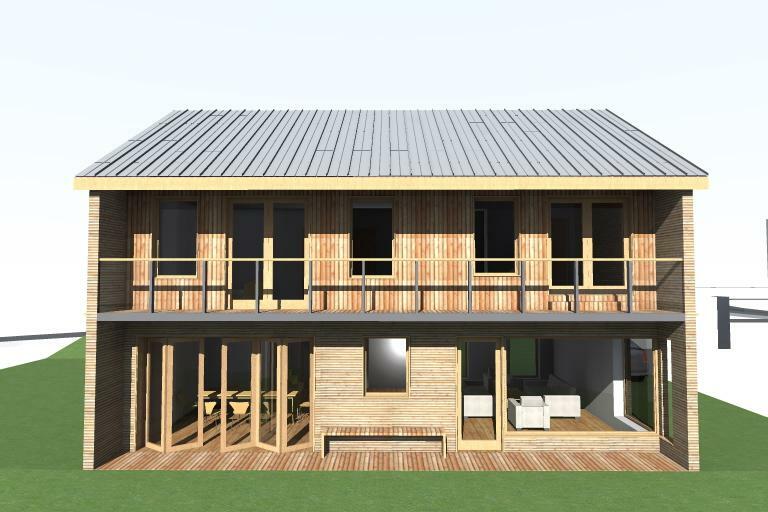 It could be a naturally-breathing house made with traditional materials and techniques, or perhaps one made with modern and technological ecological materials manufactured from natural products and minimising chemicals and petroleum products. 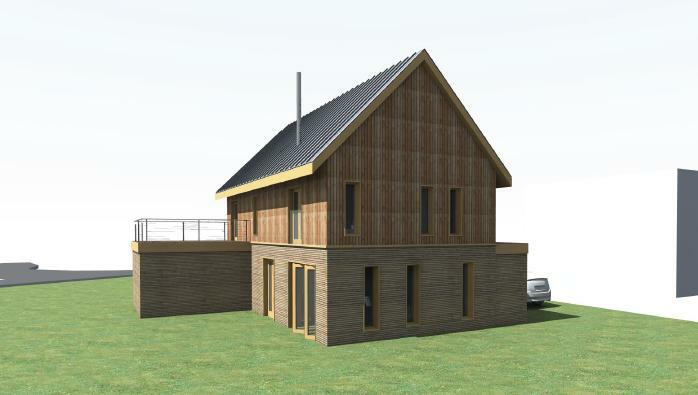 What about a home that makes space for nature, with swift and house sparrow next boxes, bats in the attic and a wildflower meadow in the garden? Confused? You bet I am. In the end, though, it comes down to what you are trying to achieve and what your priorities are. Having measured my own carbon footprint for years I know that our current lifestyle in the city does have a low carbon footprint. Work, school, activities, friends and leisure are all a walk, cycle or, at most, a bus-ride away. And we live in a small terraced house, sharing two walls with neighbours, and having a relatively small volume of air to heat within the house. Moving to the country, where everything (except the countryside) is a car-ride away is only going to increase our carbon footprint in total. 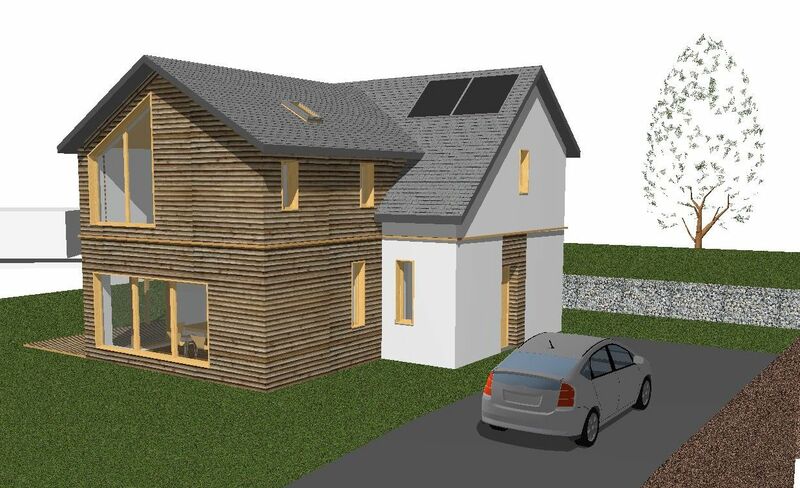 It is clear that building ourselves a house on the west coast of Scotland is not going to decrease our carbon footprint, so what do we want it to do? Our priorities are that it is as sustainable as it can be, in materials choice and in energy consumption. We want to use wood from a friend’s sawmill just across Loch Linnhe in Morven, we want to take advantage of the boggy plot to make a little stream, pond and wildlife-friendly garden. 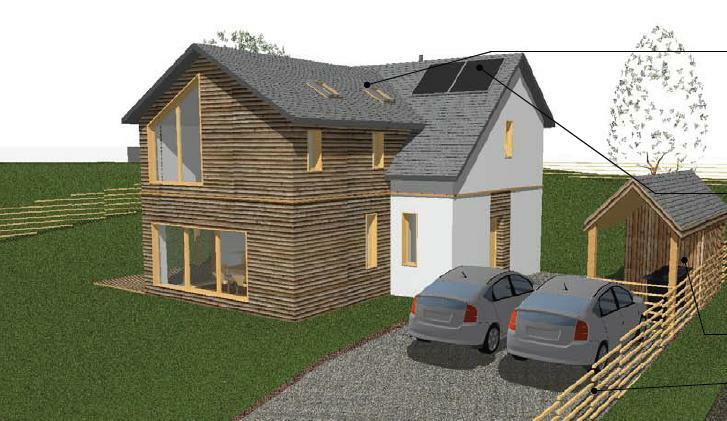 We sought out and found a south facing plot so that we can take advantage of solar gain in the design. We would like to use ecological and recycled materials where possible and build a masonry stove, like my in-laws had in Switzerland to heat the house very efficiently. That is a long wish-list. We will have to see how far we get with it. 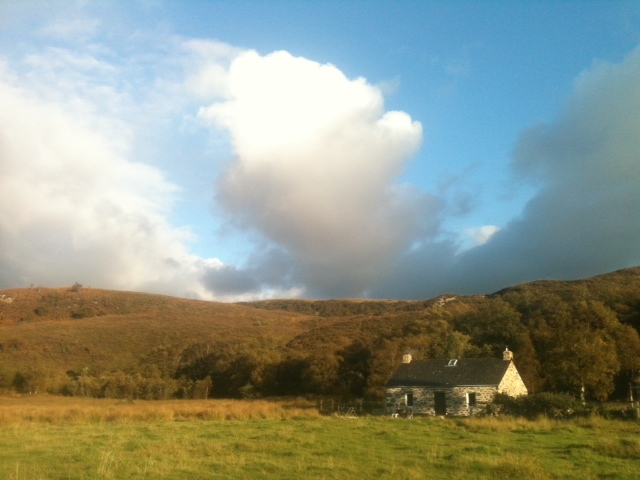 So in the meantime we’ll just call it the House at Cuil Bay. 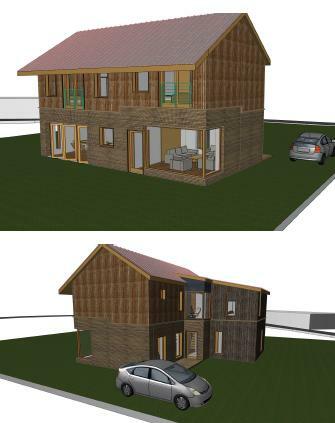 But if anyone asks – it is an eco-house – of course it is! I suppose I’m just a wannabe architect. It’s nice to have an inner life again. Welcome activity for the mind, displacing the constant rolling of to-do lists, and the buzzing of urgent tasks. Reminiscent of the feeling in the run up to finals as facts and concepts birled around my mind trying to grab onto everything else and wrap it up in a theory of everything. Or the challenge of trying to work out the way the international financial system works after a programme on Radio 4. I have actually started to get quite opinionated about what this house should be like over the months of the design process. I know exactly what I like when I see it, but can’t put my finger on exactly why or explain what I want in the abstract. In short, I must be utterly infuriating for any architect to work with. At the start of the process, our architect Matt asked me to send photos of houses to give him an idea of the kind of thing I liked. I totally failed. In all those years of looking for a plot secretly, I hadn’t felt that the project was concrete enough to actually venture into the real and start capturing images of what I wanted. And then things started happening really really quickly. Matt sent me some photos of houses he suggested I might like – all stunningly beautiful, all flat topped or barrel roofed and all utterly not me. So what do you like, he asked. “Well I like…eves” – I couldn’t think of any other way of putting it. I don’t know whether it is the product of being married to a Swiss, but I do like eves, and steep slopey roofs and the distant ring of cowbells on the alp….. I couldn’t help notice that most of Matt’s house designs didn’t have eves, in fact they didn’t have many jutty out bits. Matt soldiered on, with incredible efficiency and he and his colleague produced reams of beautiful drawings of potential homes for me. They started with a trio: tall and barrel-roofed, reflecting the large red corrugated barn next to my plot; low slung, single story with a flat roof; and two-story steep pitched roof, with a flat cube to one side. Nope; Nope; Nope; was my ungrateful response. I took the liberty of having some ideas of my own, mulling indulgently through the possibilities, and sketched them out, trying to explain it to the architects. It had a slopey roof and eves. What I discovered was that things that are eminently possible in my head, often turn out to be completely impractical when it reaches the realms of the real world. Stairs for example are strange things to get your head round, and it really matters where they are. Rooms need to have doors that can be opened and closed. Weight-bearing walls hold up the roof or floor. You need to be able to stand up while going to the toilet. The next iteration of design bore no relation, to either the original three drawings, nor to my own. This time they called me in to give me the blurb before presenting me with the options. Architects are good at blurb. I wonder whether they go to blurb classes at architect school. They had me convinced: what I really wanted was a house of two stories, wood-clad, with a single-pitched metal roof and big windows across the front. More or less as far as it was possible to get from the outline planning consent on the plot (one and a half story, harled and slated, 45 degree angle roof, windows predominantly vertical). The design progressed to incorporate a couple of my suggestions – it was part harled, part wood and returned to a conventional roof-shape. They had also done a lot of work making the front of the house look lovely with large south-facing windows in all the main rooms and a balcony all across the front. Whenever I spoke to them I was convinced it was right, but when I came home, I had niggling doubts that chased the plans and ideas from my head and kept me awake. Feedback from neighbours following a letter I sent round the neighbourhood to introduce ourselves and our plans for the house, suggested that, in general, they thought the house not suited to the site so, with weight of neighbourly opinion behind me, I met Matt to discuss the project. It was, of course no problem to change the designs and, in fact, a relatively small tweak: keeping the floor layout in the main, but changing the orientation by 90 degrees and changing the windows gave us something much closer to what I was looking for. Since then we have had a couple of re-sketches, but we are moving incrementally to something I am beginning to get rather attached to. The excitement has been rekindled and I have started to imagine what it would be like to live there…at least I had until we heard back from the Quantity Surveyor. It was bad news: our plans massively outstripped our budget. And I mean MASSIVELY. What a blow. Yet another rethink looms. I t’s harder than I thought to write a blog about the process of building our house. It’s not so much the Mañana attitude, though I suffer from it, but because I am actually finding the whole thing quite difficult to put into words for public consumption. 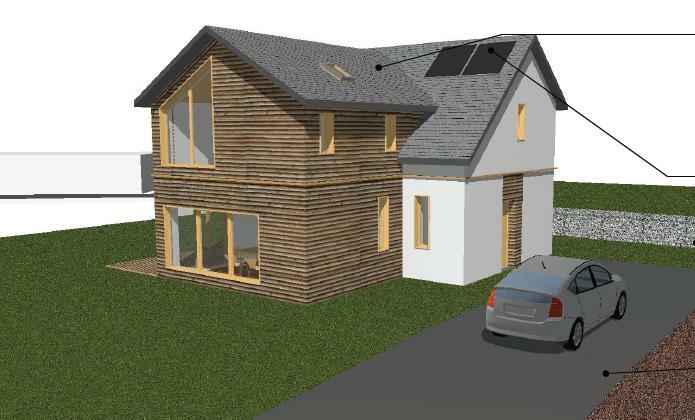 It wasn’t until we had bought the plot, engaged the architect, spoken to Scottish Water and SEPA to ensure water and drainage was likely to happen, and actually had the very first initial plans drawn up that I actually told some of my friends that we were building a house. Many don’t actually know yet – it hasn’t really come up in conversation. It’s strange really, we are building a house that we are not going to live in for some time, in a beautiful, small community on the west coast of Scotland but we live in Glasgow. It’s something I secretly always wanted to do but knew I never would. Our jobs are in Glasgow, the kids are happily two of more than 400 at primary school. We have school, shops, cultural pursuits galore, choir, beavers, brownies, athletics, swimming, piano, football, tennis (yet the world does revolve around the children….) all within walking distance. And the beauty of Highland Scotland is close at hand when we have need of it. I have always been of the opinion that second homes are a scourge, sucking the life out of struggling rural communities, pushing prices up and ensuring that youngsters leave for the city’s bright lights and jobs as soon as they can. So what has changed? Well I suppose the thought that we will be going to live there in the now not-so-distant-future is one. The time when children are fledged and work becomes more flexible (here’s always hoping) now resides in the realms of the imaginable, rather than in another universe. Things seem more possible, and the world opens up as the terror and seat-of-your-pants parenting of the early years fades into mere chaos. Only a couple of years ago the pressure of work, which I felt qualified for, and caring for my young children, which I certainly didn’t, created a peculiar tunnel vision. The insight needed to imagine things could ever be different was suppressed in favour of day-to-day survival. Also it was the plot, our hoped-for but never spoken-of, Eden. I had been surreptitiously looking for a building plot for years. I would happen to drive past plots I had seen on the internet on the way to ‘somewhere’ and say casually “Oh – a plot – let’s just have a quick look, seeing as we’re just passing”. Our filing cabinet started to complain as one section grew thicker that its allotted space with plot particulars. “Just out of curiosity”, I said. In fact the very act of calling up an estate agent to ask them to send particulars, was a significant move from plot as secretly harboured desire, to plot as reality. The need to put voice to my wish, gave the project a level of certainly which had not previously existed, not even in my conciousness. But in all our searching and visiting, in virtual and real worlds, none captured us. Insurmountable obstacles rose up in my mind “could we live here?”, “perhaps something better will come up”, “how would you get here by public transport?” But eventually the right place found us. In searching for the particulars of a building plot we had seen in passing, Google suggested I look at a plot in a place that I hadn’t dared hope one would appear. 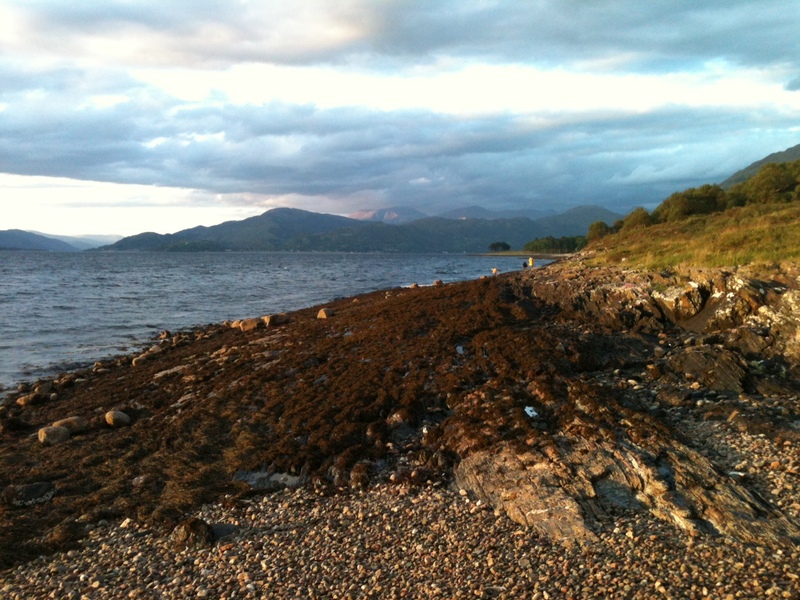 It was in Cuil; a scattered settlement of homes around the rim of a raised beach, with the massif of Beinn a Bheithir, the Ballachullish Horseshoe, rising steeply to the north; and the islands of Lorn, with Mull beyond, visible across the bay to the south. It was the place where, on countless occasions, I had donned an enormous rucksack to start the walk to Leachnasceir, the remote and rugged one-room cottage which we have had the immense privilege of co-owning for the past 10 years. And the vendor of the plot was the same man who, more than 40 years ago, had given a lease to a Geologist with a vision to rebuild a dilapidated croft cottage across a bog and a moor from Cuil Bay. And then there was the urge to build a house that was future-proofed. A place without constant drafts whistling through despite hours grovelling under sinks and behind kickboards with insulation and expanding foam. A place where the solar water heating and wood burning stove were an integral part of the house rather than tacked on in a less-than-ideal retrofit. 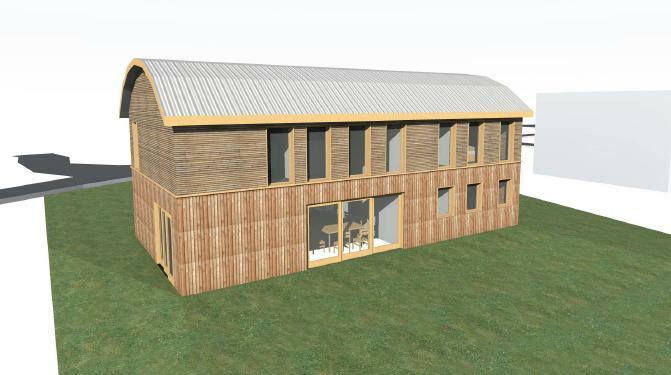 A place which would be properly insulated, properly low energy, and where we would not be living on top of each other and even have space for guests, and our children’s guests. And what about the second home issue? Hummm… well we’ll be renting the house at Cuil to pay its way until we make the move. At present we’re thinking holiday lets so that we will be able to enjoy it at those times when it is not occupied. I could write a whole blog on this but will stop here – perhaps another day. So here we are. I have reached the stage where I have, not only bought the plot, got the initial plans, and am waiting for the budget cost estimate from the Quantity Surveyor, I have even gone public with the fact. I guess it really is going to happen at last. 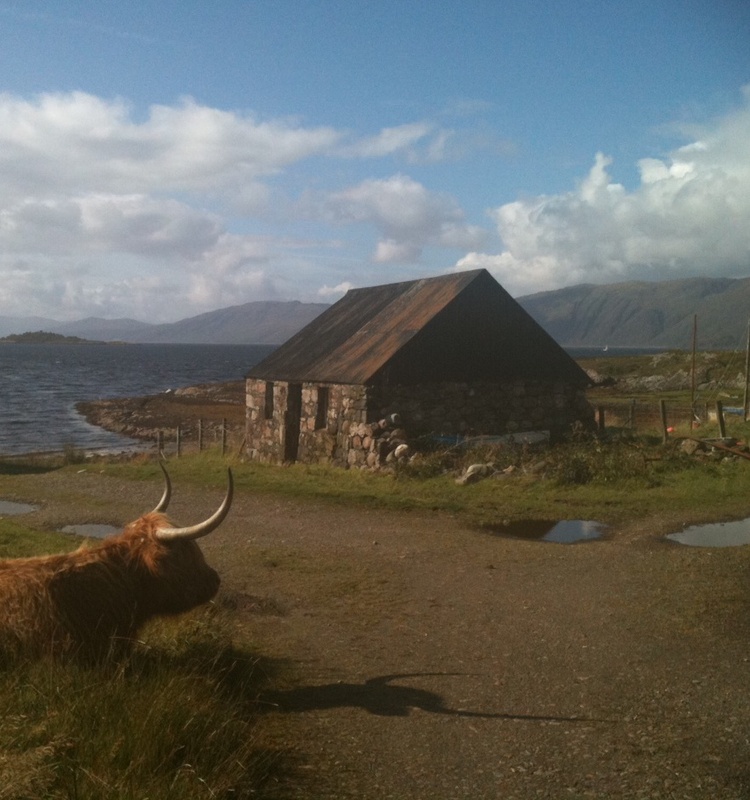 PS the photo is taken at the shore in Cuil Bay – the fisherman’s bothy and the cow.